What Are Comfortable Dress Shoes? Getting your feet into a comfortable pair of men’s dress shoes often seems like an impossible task. The first thing people think about when shopping for dress shoes is the pain and the discomfort they’ll feel as soon as they put the shoes on. Although it is true that most dress shoes require a break- in period before they become totally comfortable and painless, this doesn’t mean that all dress shoes have to pinch and cause blisters. If you’ve been wearing dress shoes that result in aching feet at the end of the day, chances are you’ve been wearing the wrong size. Aside from getting the correct size for your feet, you should also pay attention to the materials that make up your dress shoes. What are comfortable dress shoes made of? The materials used in making a pair of dress shoes have a huge impact on how comfortable they are. Knowing what type of material to choose will help reduce the chance of you getting a pair that will cause a lot of pain. Here are the main parts of a dress shoe that require your attention. Most if not all dress shoes are made of leather, but low-quality leather tends to easily crack and crease. Plus, low-grade leather does not stretch as well as high-quality leather. Check if the dress shoes are made using calfskin or any other type of high-quality leather to ensure that it can stretch well without cracking. Most common heel heights run between .75 inches to 1 inch. Heels are usually made of rubber and give extra support for the back of the feet. For dress shoes, a separate heel piece is the best choice because you can easily replace it when it wears down. This is the part of the footwear that takes the most wear and tear. Most dress shoes have a rubberized sole to give it extra durability as well as traction. A good and comfortable pair of dress shoes should have an excellent grip that allows you to walk comfortably and confidently on any surface. The entire top part of the dress shoe or any kind of shoe is called the upper. One thing to take note of is how the upper is attached to the sole. The best kind of dress shoes will have reinforced stitching or melting of the two parts to ensure the shoe is water-resistant. The insoles are the cushioning part of the dress shoe that absorb a lot of shock and pressure. This part is responsible for keeping your feet comfortably supported while wearing them. The best types of insoles are those that are removable. This allows you to customize the height and the cushioning level of the insoles depending on your needs. What are comfortable dress shoes good for if they aren’t versatile? Most dress shoes are an expensive purchase that can reach up to hundreds of dollars for one pair. This is why it is important to buy a pair that is durable and comfortable to wear. 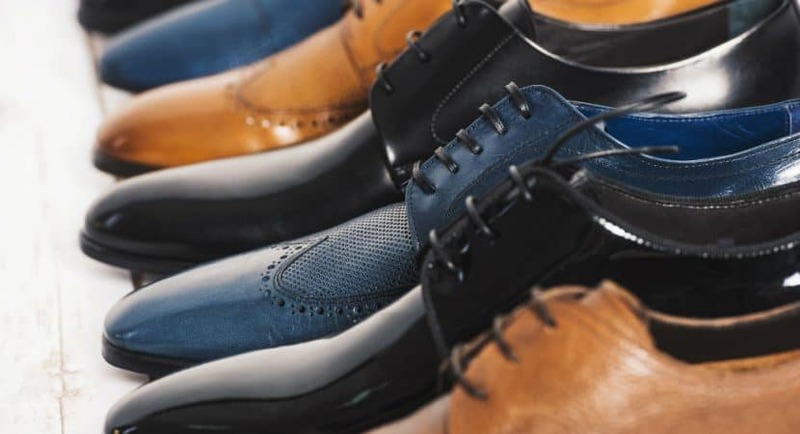 Here are some important things to consider when shopping for a new pair of dress shoes to ensure you get your money’s worth so your feet don’t hurt at the end of the day. Don’t settle for shoes that hurt. Take time to look for comfortable dress shoes you can wear for any occasion to save your feet from the pain and discomfort of a poorly made ill-fitting pair.